Black sunburst like shape with white "Beach, Please" text. 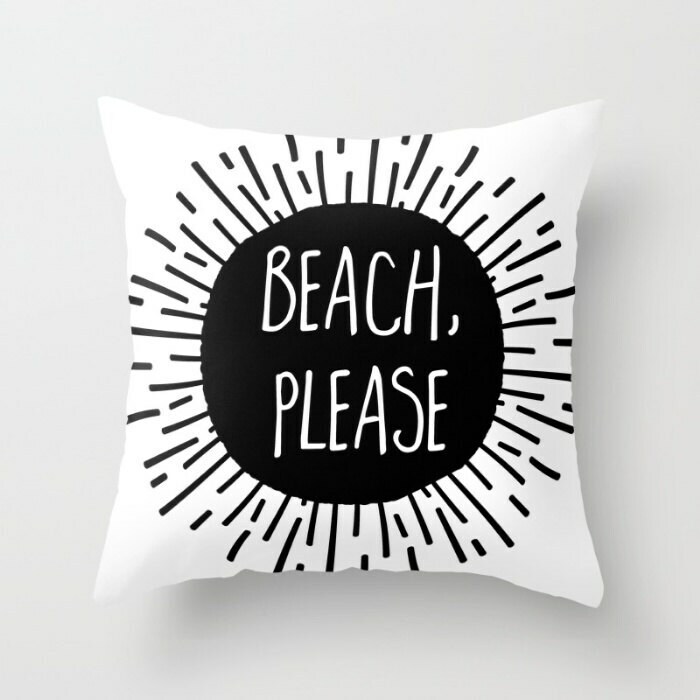 Decorative throw pillow to add personality and pop to any room. Cover is made of a soft and durable polyester poplin fabric, perfect for indoor use (contact us if you need an outdoor pillow). High quality double sided (same on both sides) print with a concealed zipper for inserting pillow. Includes a faux down pillow insert. This pillow will be made to order and should take about 3-5 business days to ship, then allow additional time for shipping based on destination.